Improve productivity with CHA Pack's flexible carton packing stations. Let CHA Pack help you with the complete packaging solutions. Looking for pallet wrapping? Entrust yourself with CHA Pack's quality of stretch wrapper. FIND A SOLUTION NOW! 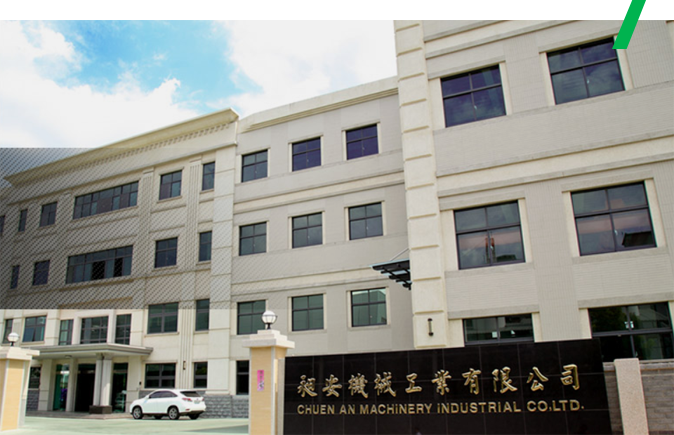 CHUEN AN'S PACKAGING MACHINES. CHA Pack is a leading manufacturer in the field of end-of-line packaging devices since 1986. In the past 30 years, CHA Pack has been targeted on the technology development, precise manufacturing, professional marketing, satisfied technical support and OEM solutions. CHA Pack had been offered shrink tunnel, sealing machine, case sealer/erector and stretch wrapper to fit the needs of different industries. With more than 30+ years experience in the filed of end-of-ling packaging machinery, find out how some of our customers are succeeding with cha pack. The complete soultion includes infeed/exit gravity conveyor, stretch wrapper (wrapping height 2700mm/ turntable dia. 2000mm) and top sheet dispenser increased the productivity of packaging line. Customer is looking for solution for LCD packaging.The case is tall and narrow. The approx. loading weight is up to 50kgs. Most important of all, the customer requested sealing length(overlap) 80mm. HOW TO PACK A HUGE TIRES!! LET’S THINK ABOUT IT!! For tire diameter up to 800 mm, CHA Pack offered complete solution. Customized sealing blade cuts off PE film easily.